For the gowns. I used simple cotton prints. For the pattern I used Sarah Jane's lovely infant gown pattern. 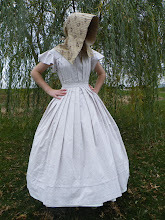 I pleated the front of the bodices and both skirts were hand gathered. 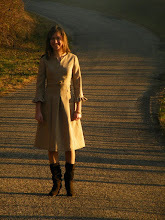 I think used the coat sleeve pattern from Elizabeth's pattern. The chemises were made out a fine white cotton. It was so soft I really enjoyed working with it. :) I based them off of Sarah's pattern here. 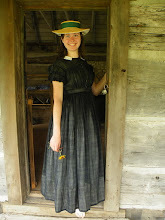 (Which is shaped pretty much like this chemise. :) I just added length, tapered it out slightly, cut both the front and back on the fold, and bound the neck link as one 'big' circle. Thanks so much, Sarah Jane for being so helpful and sharing. Your such an inspiration. I'm so ﻿blessed to know you! All of the baby things look just perfect and the babies look adorable in them! Neat-o! You are sooo talented! 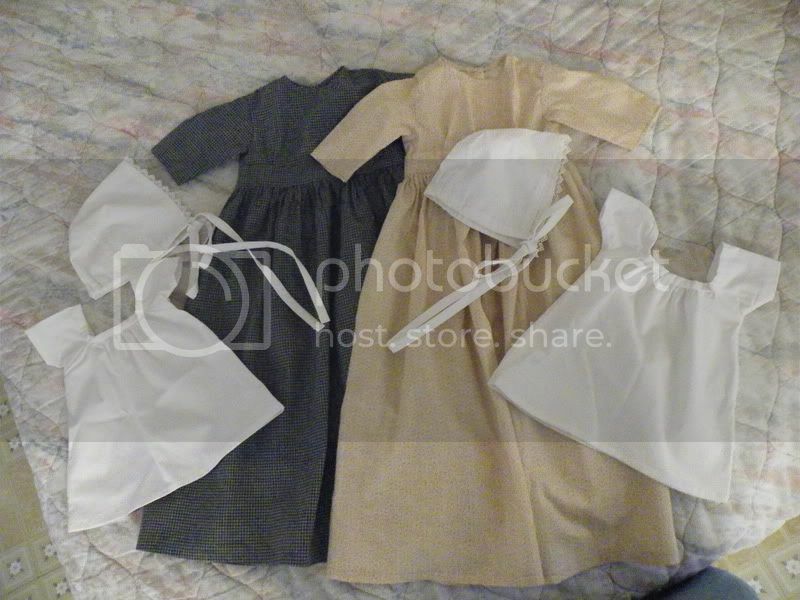 Your sewing is so beautiful and the babies set off the sweet items you made so perfectly! What darlings!! How nice you could participate in the baby shower even though you live so far away! Aw Yeah... I so totally ditto everybody else :D You did a *wonderful* job with everything just like you always do! I like simple too.. you know me! I've seen theese on the SA before, but they're just so cute! I'm looking forward to making period clothes for my little one (though as I re-enact the 14th century, they won't be as cute as these) - what luck to have friends like you making such lovely presents! I hear you, my style is simple as well, thus I usually make working- or lower middle class clothes from whatever century presently takes my fancy. Sure thing, it makes me happy just thinking about it :) "blast" is the right word!